Calcium is deficient in many of our diets, especially in the diets of teenagers. Calcium is important for healthy bones, teeth, blood clotting, and muscle and nerve function. The most absorbable form of calcium is found in dairy products, but what if you don’t like dairy products, or can’t tolerate dairy products? 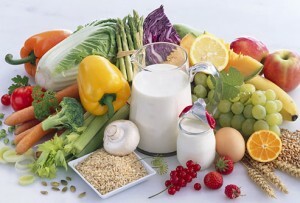 One great option is to choose calcium-fortified foods. The best-known calcium fortified food is orange juice, but look for calcium added to bread and other foods as well. Fiber is the indigestible part of plant foods. People on low cab diets often do not get enough fiber in their diets. Fiber is needed for a healthy digestive system, and some fibers will help reduce cholesterol and help to reduce the risk of cardiovascular disease. Oat bran fiber is one example of a healthy fiber that will reduce your risk of cardiovascular diseases. Oat bran fiber is often added to foods like breads, pasta, and snack foods to increase the fiber content. Anti-oxidants are the chemicals found in colorful fruits and vegetables that have special properties to prevent or even treat certain diseases. One example is lycopene, normally found in tomatoes. Lycopene, as well as other anti-oxidants can be added to regular foods, turning them into super-healthy functional foods. Essential fatty acids and healthy omega 3 oils are needed for healthy nervous system function, healthy brain function, and will work as anti-inflammatories. Adding essential fatty acids to foods will make them even healthier. One example is the addition of an essential fatty acid called DHA to infant formula. Studies show that infants who get adequate amounts of DHA have better brain and eye development. 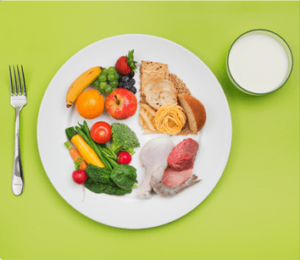 Proteins and their individual components called amino acids serve several different functions in our body, most of them related to the structures of our body and for our immune system. Soy protein is an example of a nutritional ingredient that may be added to foods because soy consumption has been shown to reduce the risk of heart disease.